Daily Telegraph cartoonist Matt Pritchett is celebrating his 30th anniversary at the paper. Plaudits come thick and fast. They’re deserved. 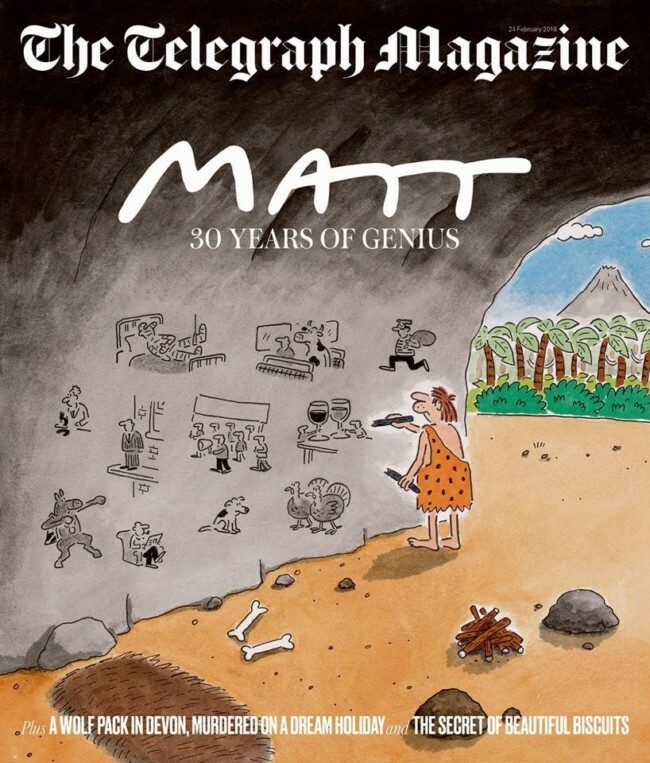 The Duke of Edinburgh hails Matt as a “genius”, praising his “ability to think of wonderfully appropriate swipes at the idiocies of contemporary life”. to say nothing of the idiocies of hereditary privilege. And to say nothing at all of people the Telegraph refers to as – dread phrase – “national treasures”. Prime Minsters past and present love him. Tony Blair calls Matt “brilliant”. Jeremy Corbyn, the Labour leader, was also invited to join the anniversary celebrations. 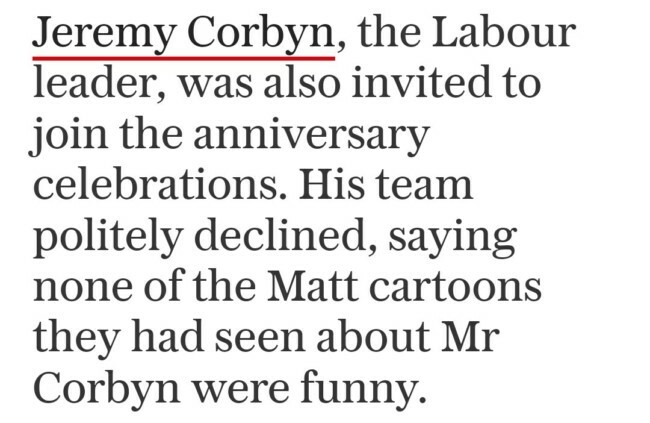 His team politely declined, saying none of the Matt cartoons they had seen about Mr Corbyn were funny. Jeremy Corbyn, folks, the man who prefers to tell not listen, who says a “free press is essential to democracy” and then threatens the media he doesn’t like and who don’t agree with him. He wants more control over the Press. So much for freedom. Helena Horton says the PMs who did comment are a”a lesson in how to handle being on the receiving end of a joke with good grace”. More of Matt, please. And more cartoons in newspapers.